If you know me, you knew my grandmother whether or not you had the opportunity to meet her in person. That’s because there’s hardly a day goes by that I fail to quote her on some tidbit of wisdom, things I call “Grannyisms.” My father’s mother, who we all called “Granny,” had a tremendous influence on my life. Hattie Lois Aldridge not only contributed a great deal to my values and beliefs, but she did likewise for anyone she came in contact with. She appeared hard on the outside about “what the world was coming to,” but generous to a fault on the inside. 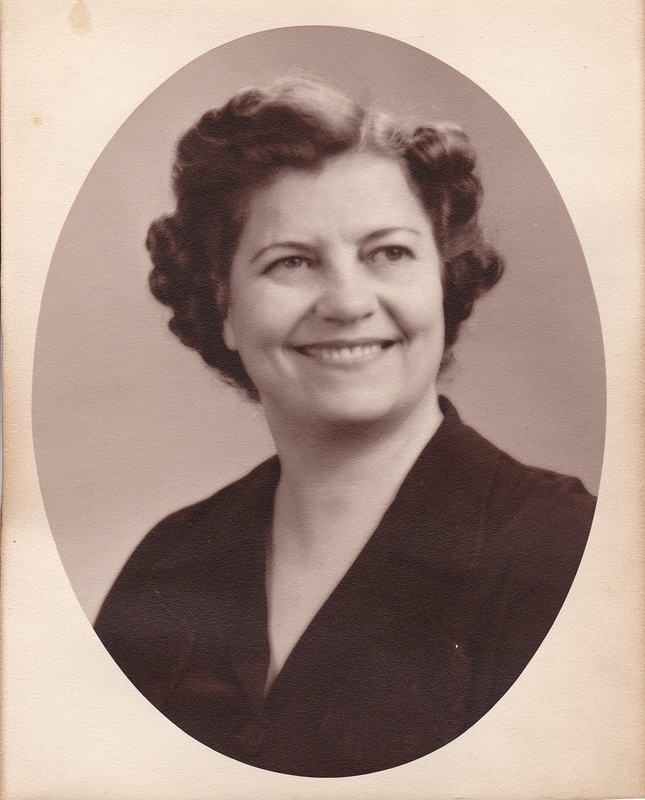 She never drew a paycheck in her life that I know of, but managed the meager earnings of my grandfather to run a household and raise a child. Funny thing is, she always had more money than those who thought they were rich. She only worried about two things. “Sit down, I’ll put on some coffee and fix something to eat,” was always her first concern. She wanted to be sure you weren’t going to leave her house hungry. Maybe that came from living through the depression, or maybe she was simply generous to a fault. “Neither a borrower nor a lender be,” was the advice offered by Polonius in Shakespeare’s Hamlet. I doubt Granny knew who Polonius was, or what Shakespeare had to do with anything important to her. However, she subscribed to the same principle. I’m betting that not one financial institution ever earned the first cent’s worth of interest from her. More often than not, if someone really needed something, she simply gave it to them. However, these little donations were not free. With them came a lecture on the value of a hard-earned dollar. She was a giver, but when she knew genuine need wasn’t at stake, she leaned toward the lending side. The first time I learned applicable lessons from her on financing was when she loaned me the money to buy my first car, a ’51 Chevrolet purchased for the princely sum of $250. After digging through her many purses she called “pocketbooks” stuffed here and there, she pulled a roll of money out of one and counted out $250. The next thing that came out of the black purse was a little black book. She turned the pages until she found a blank one and carefully wrote the date and the amount of money. Every time, she searched pocketbooks, dresser drawers and coat pockets to find a roll of bills—places money should not have been stashed. Truth is, it did take several days following her funeral to search everything. Hat boxes, shoe boxes, greeting card boxes, envelopes, purses, pocketbooks, photo albums, letters, books. Nothing escaped the search, but you know what? Not one red cent was found. Not a single penny. We all chuckled about the thought of her laughing at us all right, because she knew she wasn’t leaving anything behind. There was no money in the house when she died in October of 1993. All she left behind were the lessons she tried to teach us about how to manage money. Leon this is one of the best quotes I have ever read ..
It’s a good one all right, Frankie. Granny was a wise woman. Great tribute to your granny!! Thanks Susan! As you well know, she was a strong influence in my life. If I were to write a book about her, this would be just one chapter.